The match at WrestleMania 9 was quite slow and lethargic. Not due to the ability of Undertaker, but to the frequent miscues and awkwardness of Giant Gonzalez. 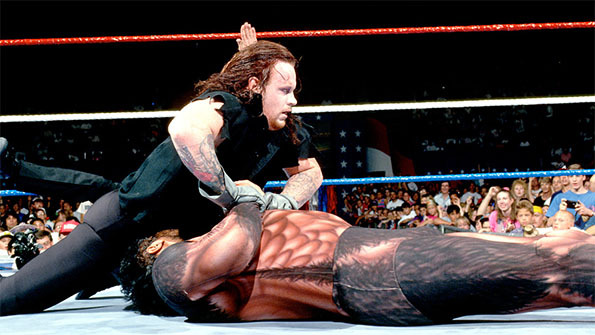 What made matters worse was that the finish of the match resulted in Undertaker winning by disqualification due to Gonzalez using chloroform. 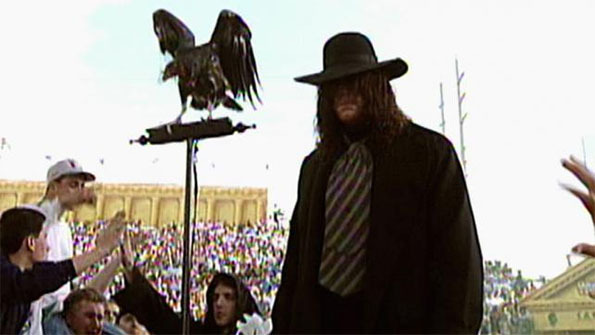 To this date, the match at WrestleMania 9 has been the only disqualification victory of Taker's 21-win streak. Undertaker and Giant Gonzalez shows how two people with over-the-top gimmicks can go two totally opposite ways. Undertaker is one of the most successful superstars in WWE history. Giant Gonzalez, on the other hand - gimmick gone wrong. Totally wrong. I figured he would have learned from El Gigante.